Still hot and dry in Texas. We need a small storm. 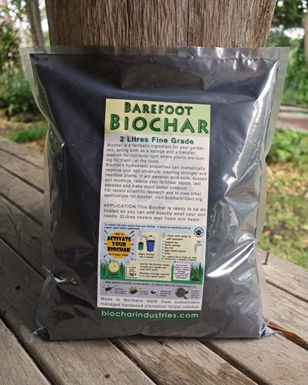 Thought I would talk about my introduction to biochar. I planted a garden in hopes of raising some food. I’m a 80 yr. old retired teacher. Well to make a short story long very little of what I planted came up. twelve corn plants out of 50 planted. The ground was dry and the wind was 30 mph .Plants are stunted in high winds. So I started a search on how to increase the fertility of my sandy hill. Found the BBC’s program “The Secret of Eldorado”. I knew about the dark soil of the Amazon. 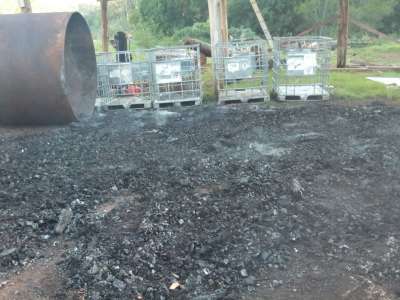 Came across biochar and read all that I could find. Making biochar in my back yard is out of the question for now because of the burn ban in the county. Most counties in Texas are under a burn ban because of the dry conditions across the state. Read about Cowboy charcoal made in Kentucky so I purchased two bags. I made some compost tea and dumped the charcoal in. I let it soak for a week (not long enough but) It soaked up most of the tea. I then mixed the 8.8 lbs of charcoal with 40 lbs of compost. The lumps were too large so this morning I started crushing the mixture. Put the biochar on a plastic bag on the garage floor and using the end of a 3 ft 2×4 started making little bits out of large bits. Slow but I don,t have anything else to do. It is making some good looking stuff. Put some in some newly potted plants. That’s all for now. Wow Robert, That’s fantastic the whole biochar thing is about learning + doing NOT Studying for 8 years getting a piece of paper then just talking about it. Any chance you could send me photos of yourself and what you are doing. I know I may be pushing my luck but this would make a fantastic reference for everyone. I will send you an email perhaps you could add photos to that send it back to me and I will spruce up your story. My Imagination is STRONG and I can see vividly everything your doing and what your up against. You are a real Biochar Pioneer. I wish you and your country everything it needs to recover including a change of mindset for your countrymen. I, live in TX, not to far from were Robert lives. I, would like to collaborate with him on making biochar. Is there anyway that you can get me in touch with him? Sure Robert who ? Give me more details and i can look him up for you. Previous post: Biochar, Science, PhD and all that jazz.